This intake is to assist families who are facing childhood illnesses that are long term and will endure financial strain due to the illness, hospitalization, and child care. As we know, our assistance won’t solve all of their financial burdens or responsibilities; we believe that our assistance is a gift to these children to allow their parents to spend more time with them while they are fighting for their life. Staying Family Strong is our goal! If you meet all of the above qualifications and requirements, please fill out your information below. If the child has a prognosis of 6 months or less, please go to our Buying-Time Grant. 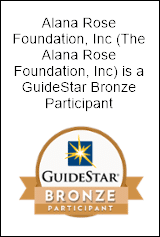 I hereby consent to the use of photos on The Alana Rose Foundation website and social media.